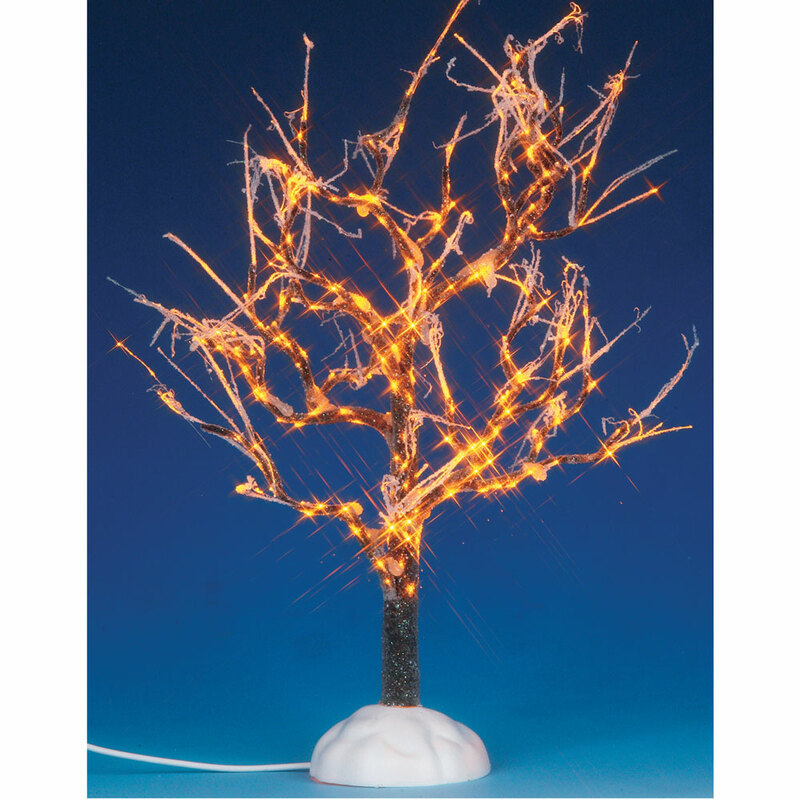 Lemax Lighted Ice Glazed Tree 9" (Clear) depicts a snowed outdoor frost crystalised tree illuminated with a set of clear lights, to compliment your miniature Lemax village display. Scaled and themed for placement in and amongst a Lemax village scene to add illumination and realism to a Christmas setting. An illuminated miniature tree battery operated as standard, powered by an external battery pack with wire length suitable to hide battery unit from sight in your display (mains adaptable). 22.5cm tall miniature Christmas tree on a snowed base is delicately illuminated with miniature rice lights, and a collectors favourite since joining the Lemax Village catalogue in 2009.